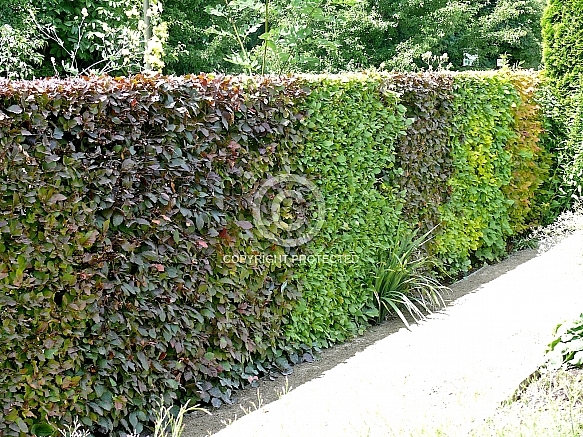 Title: Mixed fagus hedging - Monet's garden, France. Description: Fagus sylvatica, the English beech, while more usually a tall, stately tree in its many varieties, is often used for tightly clipped hedging. In this example both green and copper or purple forms are used.